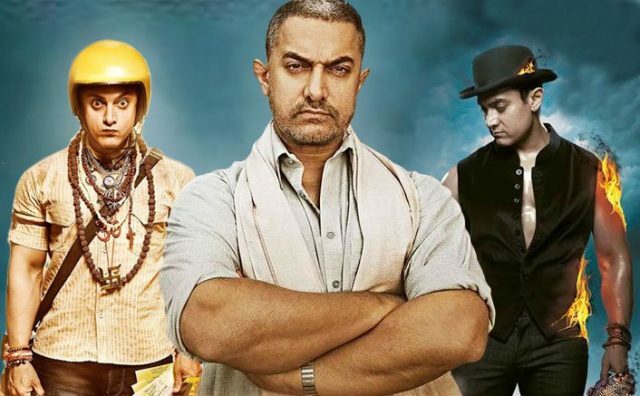 Aamir Khan (Birth Name Muhammad Aamir Hussain Khan) is a Bollywood Indian Actor Known as Mr. Perfect in his industry is an Film producer, singer, or an excellent film Director and also a television show host. He was Born in 14 March 1965. With his successful career of 30 years Khan has made his name and known as one of the most well known and leading actor in the industry of Indian cinema. He is the receiver of numerous awards that includes the 9 Film Fare awards, or 4 National Awards. While one of his productions received an academy award nomination. He was honored by the Government of India with tha padma shri in 2003 and also the padma Bushan in 2010. Received an honorary title from the Government of china in 2017. With the Globaly Fan following specially from India and China he has been define by the “News Week” as the ‘Biggest Movie Star’ in the world. Aamir Khan was first appeared on the screen as a child actor in the film of his uncle Nasir Hussain’s “Yaadon Ki Baaraat” (1973). As an adult, his first role in the feature film was in the experimental film Holi (1984), and he began a career as a full-time actor with a leading role in the tragic romance “Qayamat Se Qayamat Tak”(1988). Khan’s performance in the film and in the thriller Raakh (1989) helps him to earned National Film Award in the category of Special Mention. He made himself as a leading actor in Hindi cinema in the 1990s by appearing in a series of commercially successful films, including the romantic dramas Dil (1990) and Raja Hindustani (1996), the latter his most successful hit and heartthrob and by which he won his first Filmfare Award for Best Actor. He also stood out for playing against type, in a negative role, in the internationally acclaimed Canadian-Indian film house 1947. Aamir Khan is Born in Mumbai City, Maharashtra, India. His Father name is Tahir Hussain he is a film producer by profession. His Mother name is Zeenat Hussain. Khan has a younger Brother name Faisal Khan and also has two younger sisters name Farhat Khan & Nikkhat Fatima. Aamir Khan is muslim by religion and his nationality is Indian or Star sign is Pisces. Aamir Khan complete his school from J.B. Petit School Mumbai, St. Anne’s High School, Bandra, Mumbai & Bombay Scottish School, Mahim, Mumbai. Aamir Khan married Reena Dutta in 1986 and divorced in 2002, they blessed him with a son named Juniad Khan and a daughter Ira Khan. Then, Aamir Khan married Kiran Rao on December 28, 2005, the couple has a son named Azad Rao Khan.